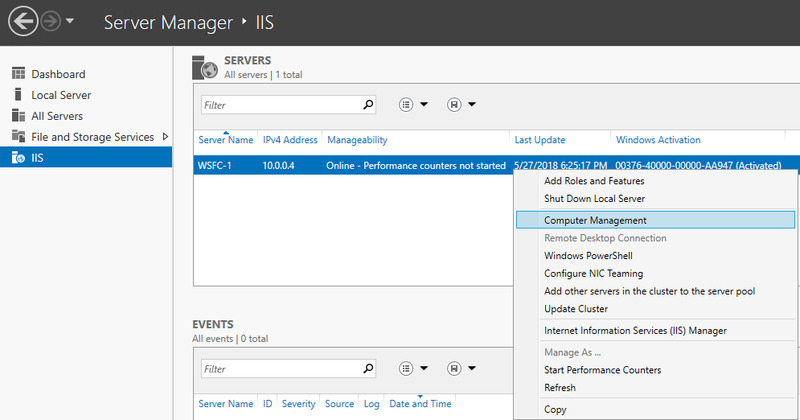 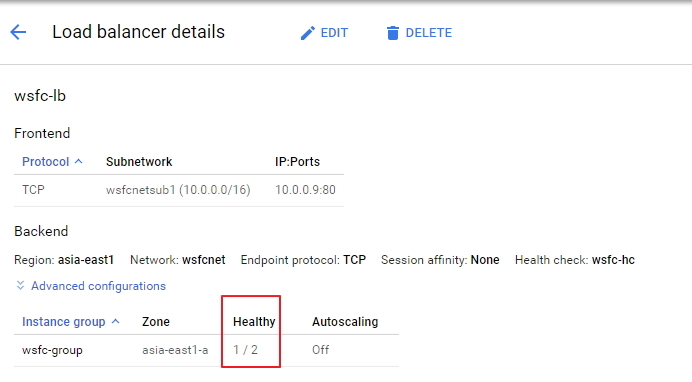 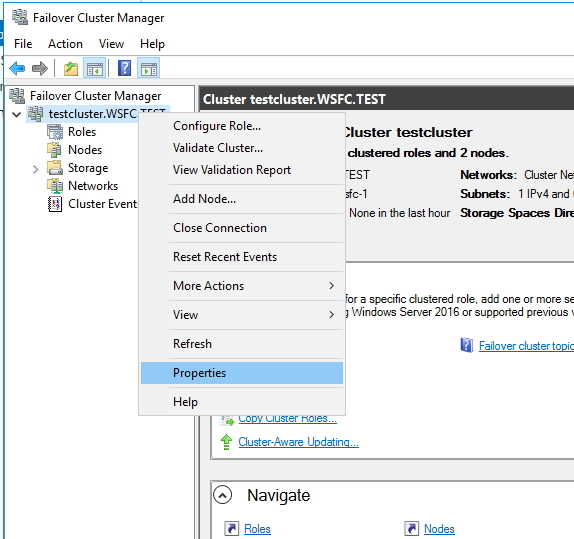 在叢集節點上的 wsfc-1 或 wsfc-2, 開啟 Failover Cluster Manager. 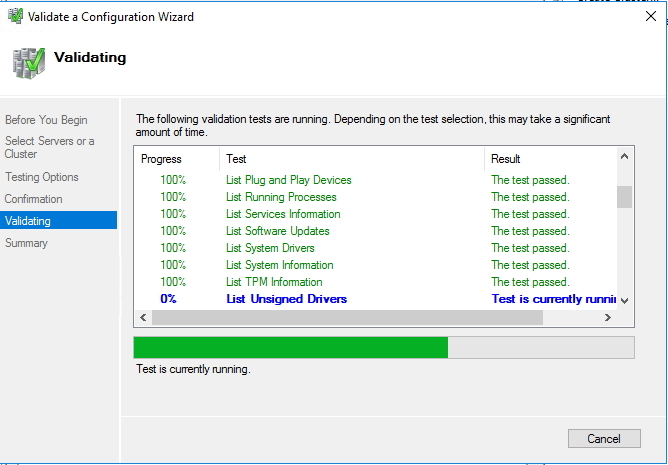 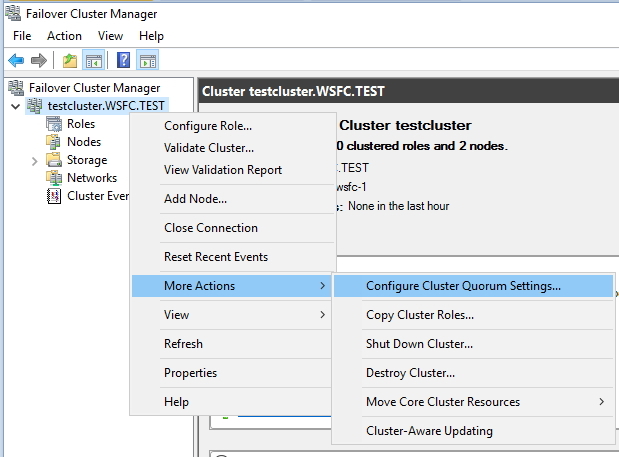 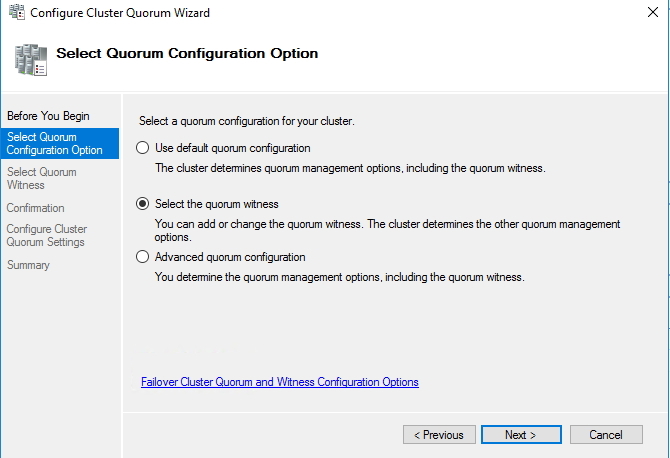 於左側用滑鼠右鍵點選當前叢集 (testcluster.WSFC.TEST) 並移動至 More Actions 並點選 Configure Cluster Quorum Settings. 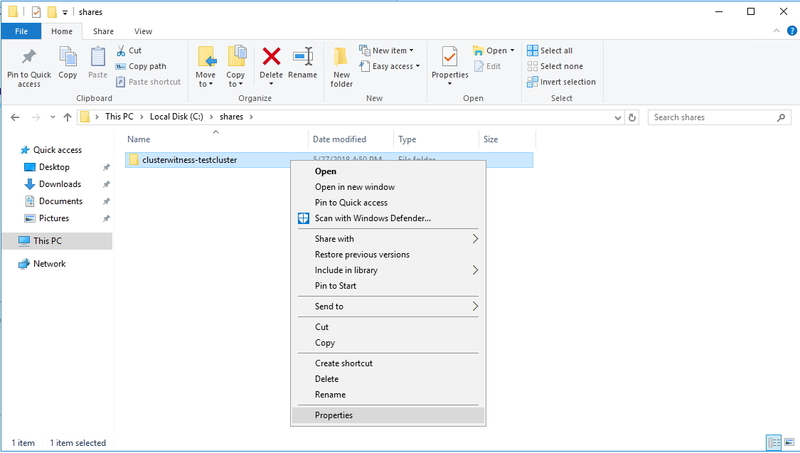 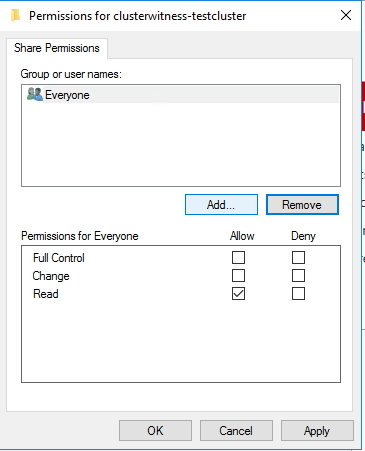 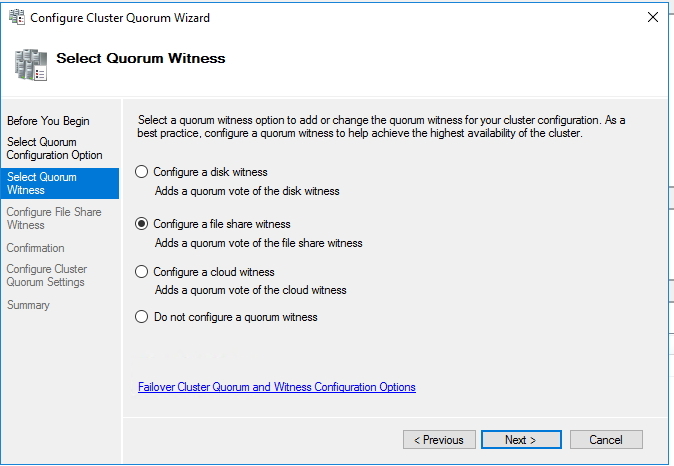 當設定 quorum configuration option, 選擇 quorum witness 並選擇 Configure a file share witness. 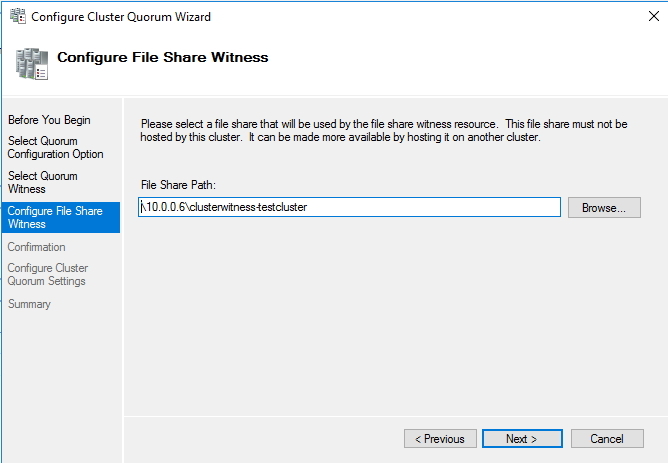 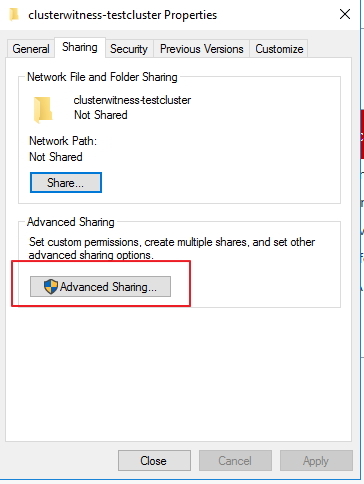 在路徑上選擇剛剛設定好的分享路徑(即可 “\10.0.0.6\clusterwitness-testcluster”). 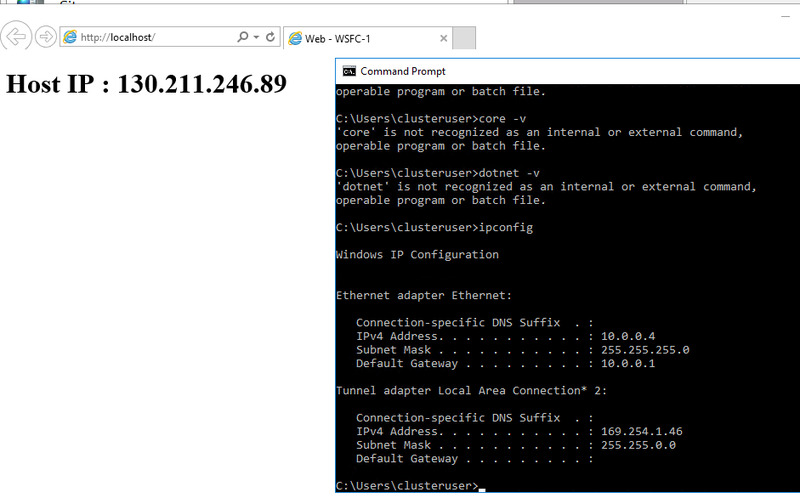 這裡 10.0.0.6 的 IP 就是 wsfc-dc VM所設定配置的. 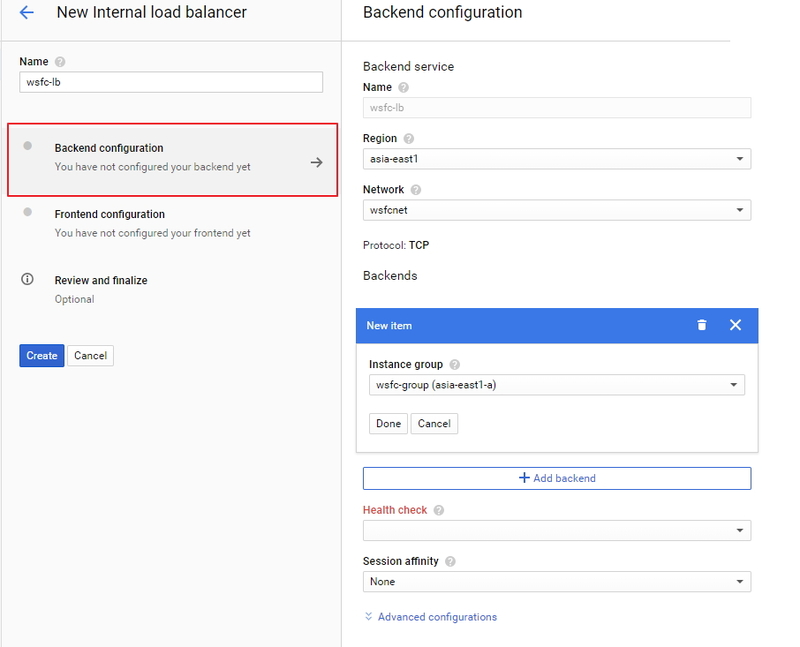 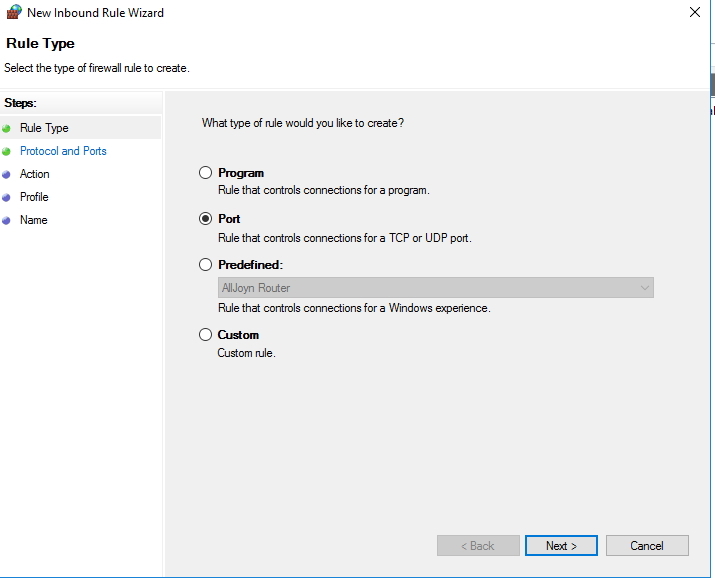 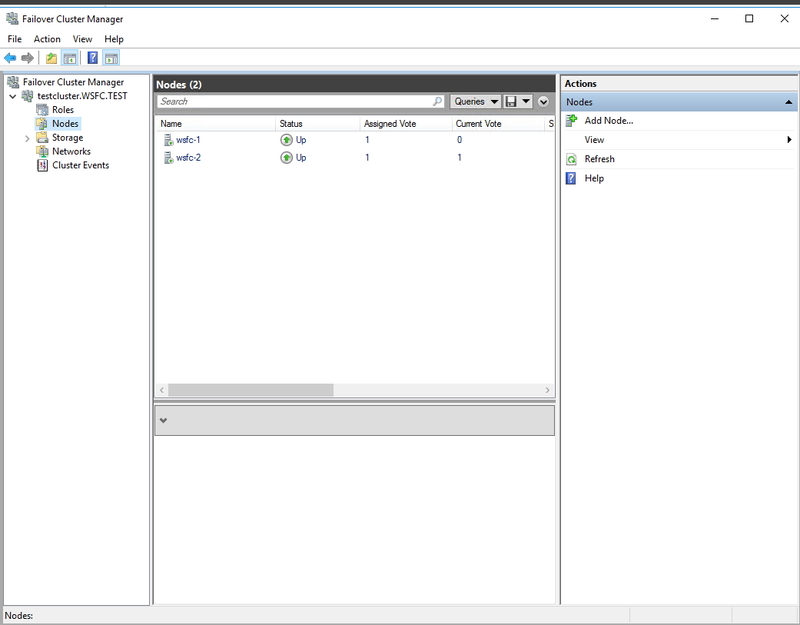 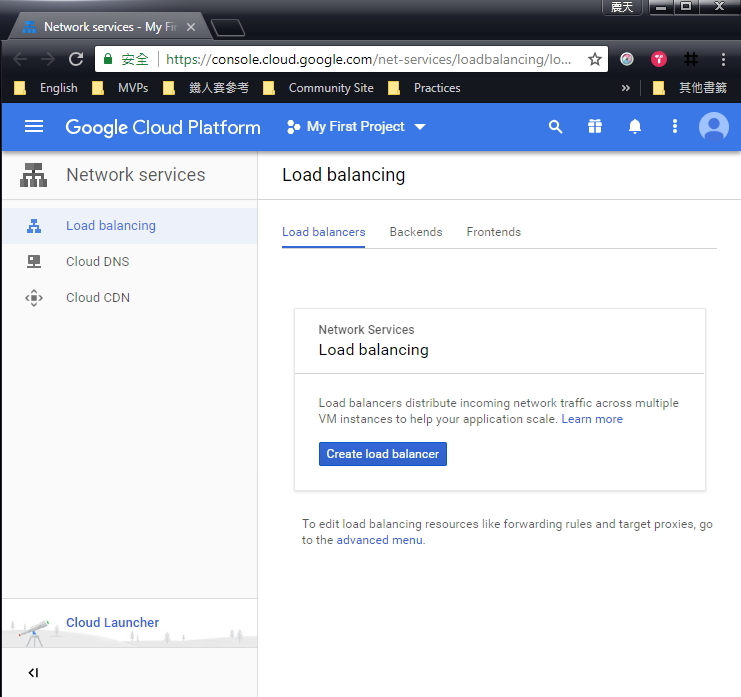 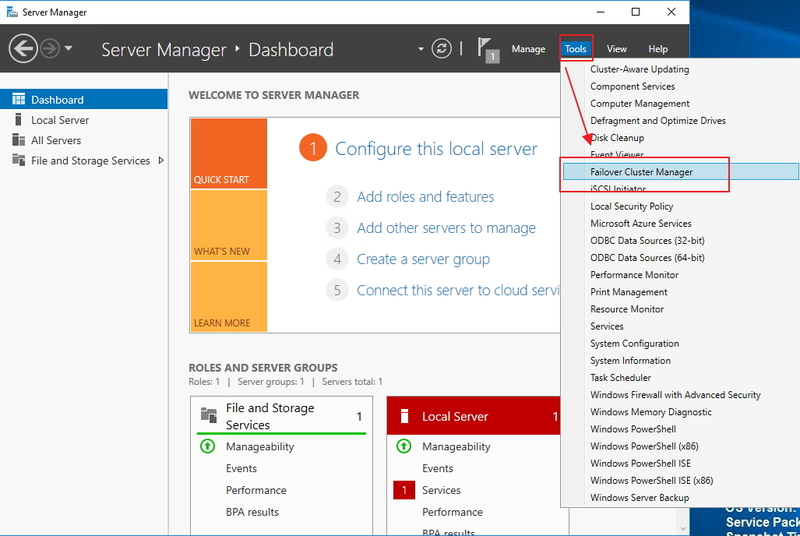 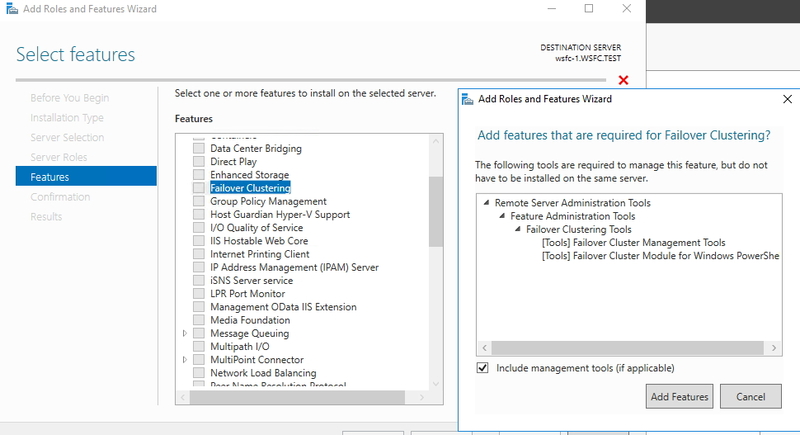 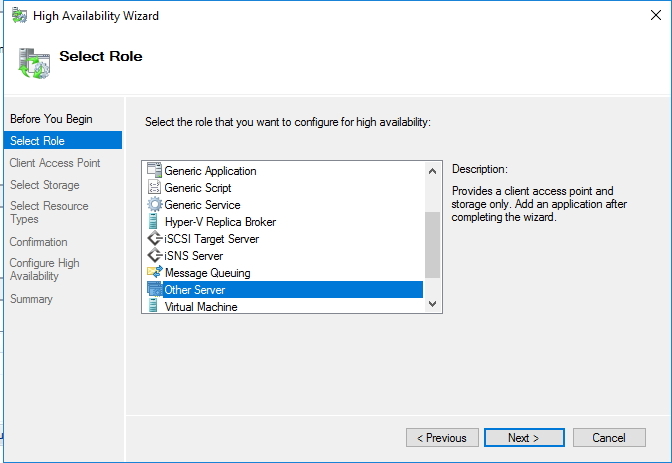 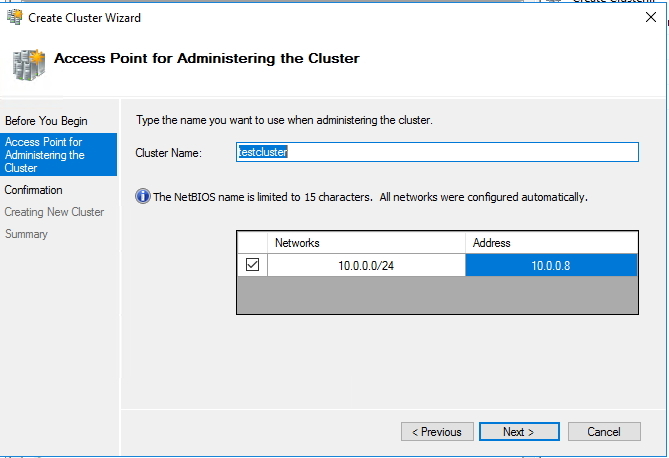 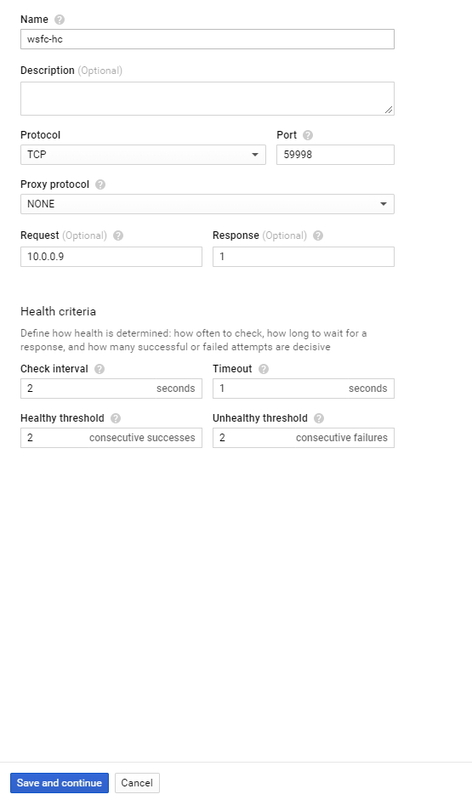 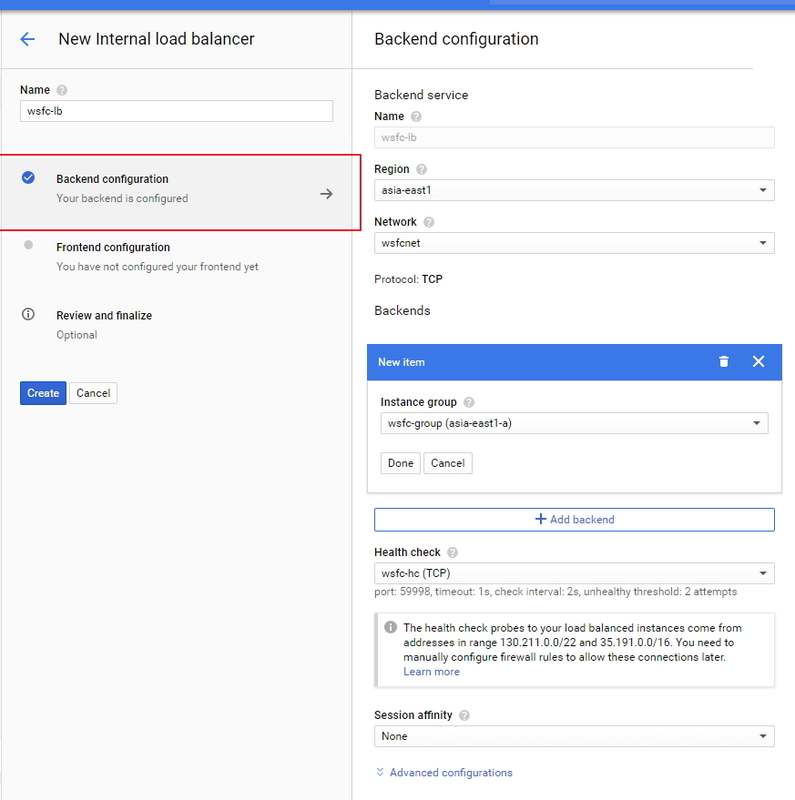 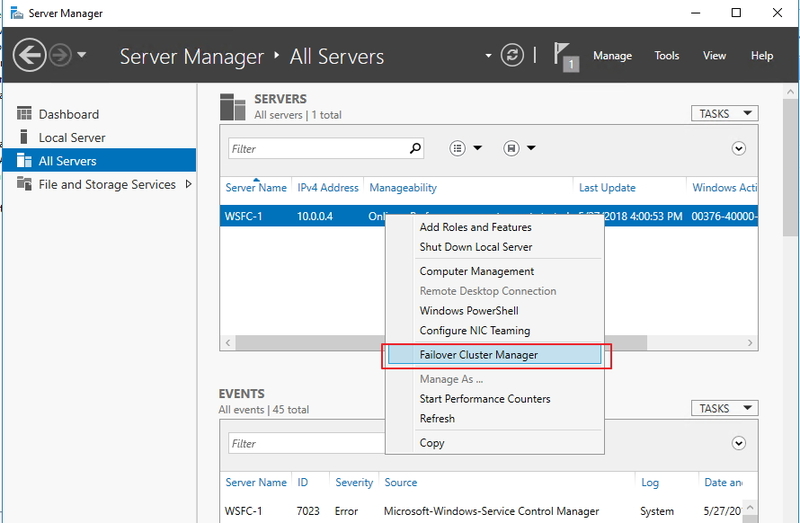 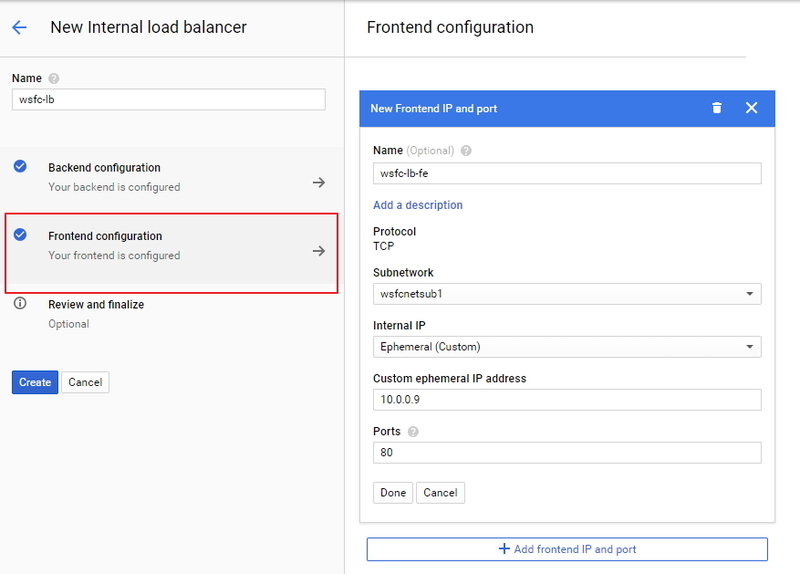 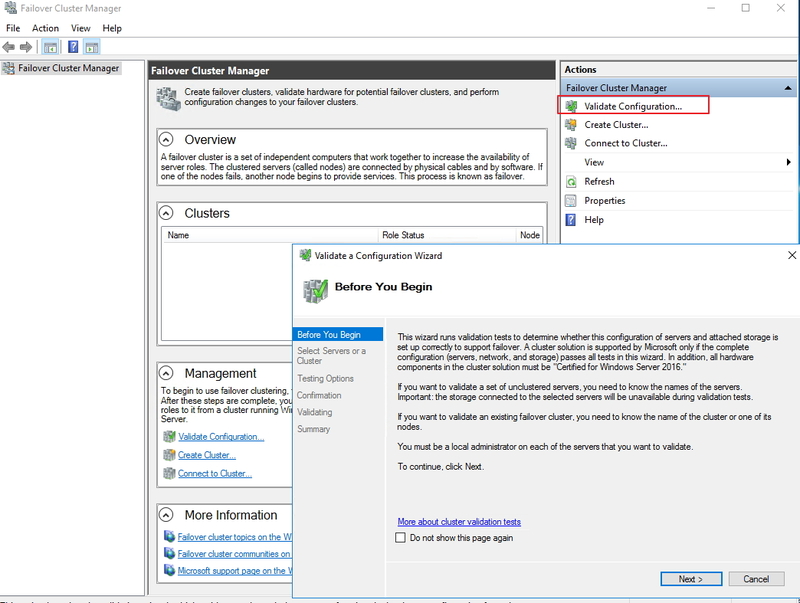 在 Failover Cluster Manager 的 Actions 中選擇 Configure Role. 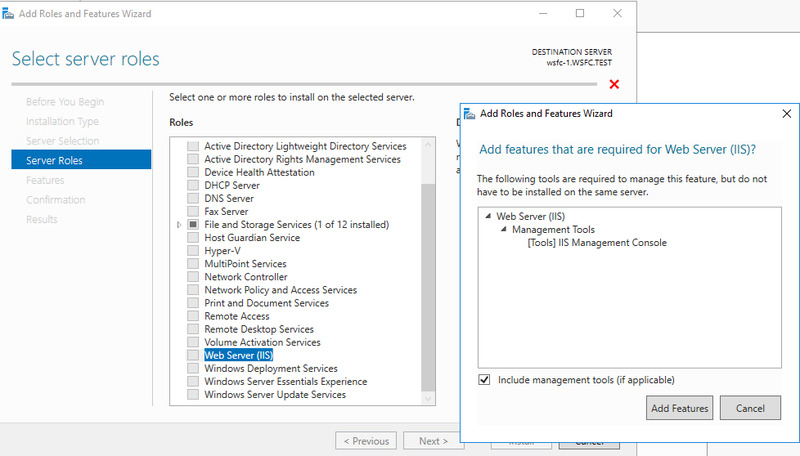 在 Select Role 頁面中選擇 Other Server. 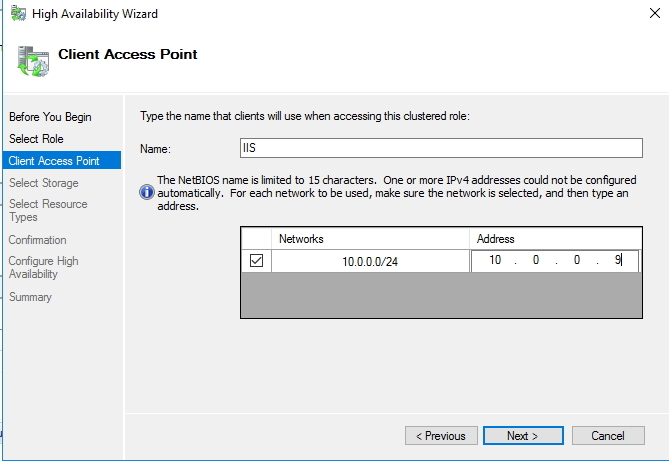 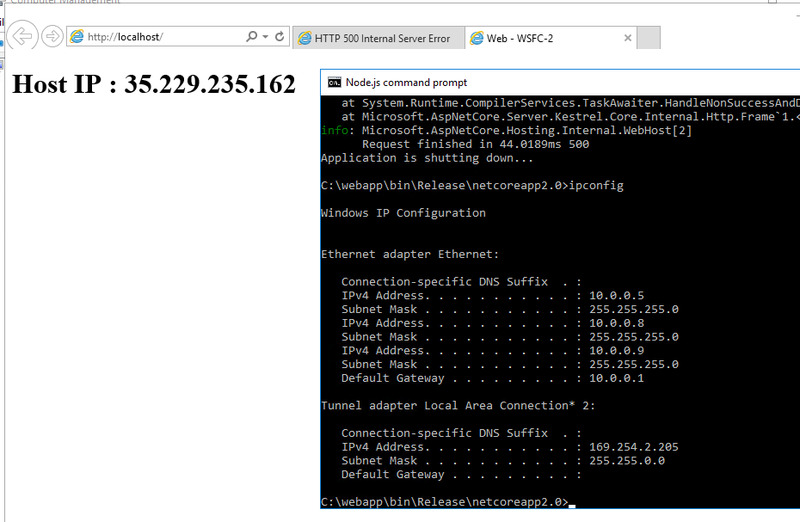 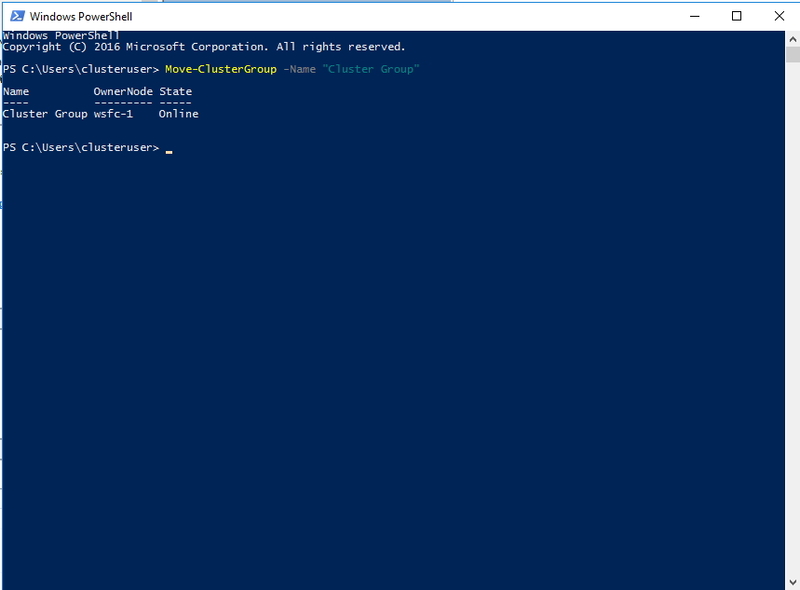 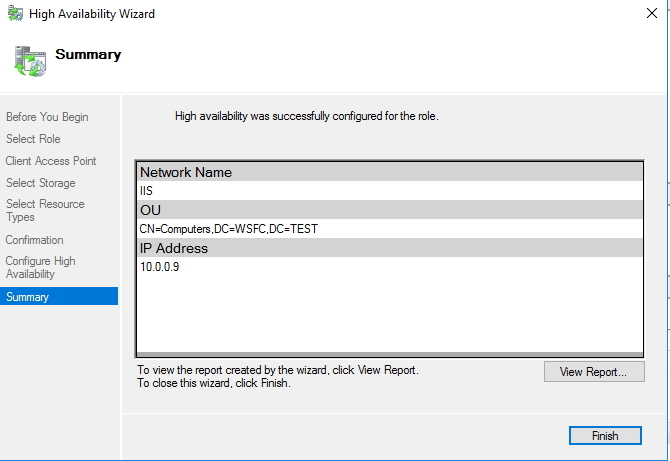 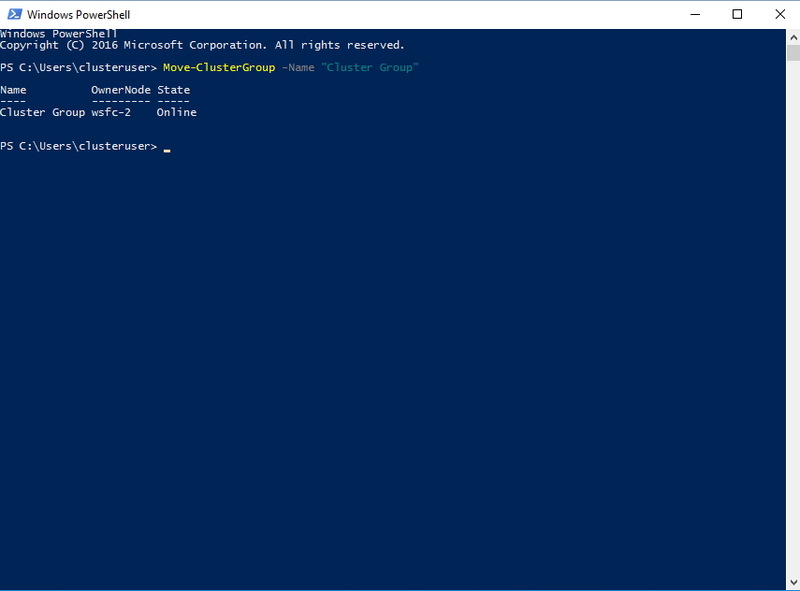 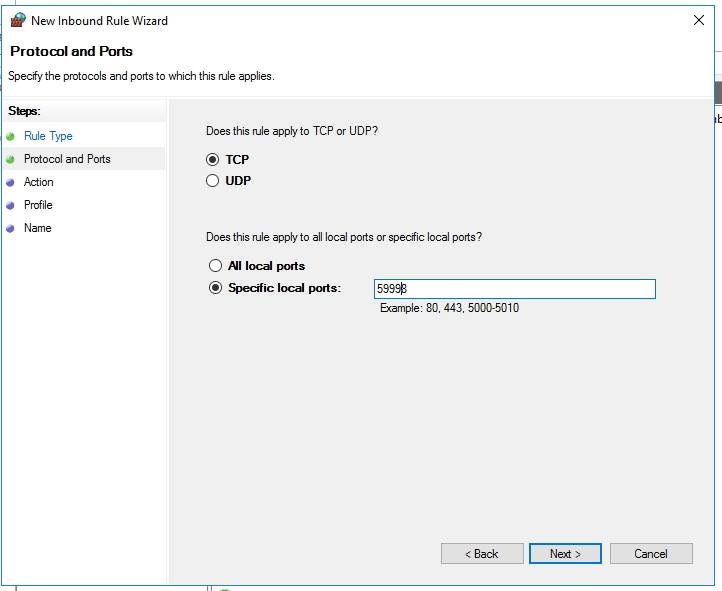 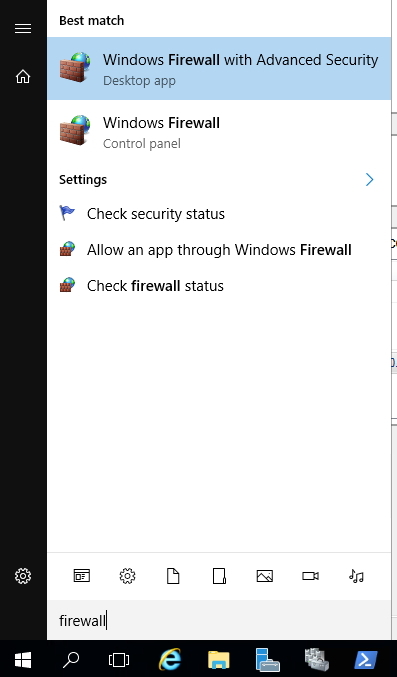 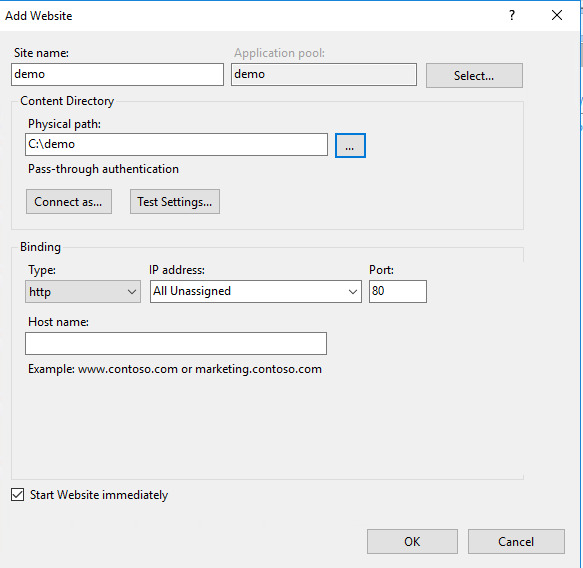 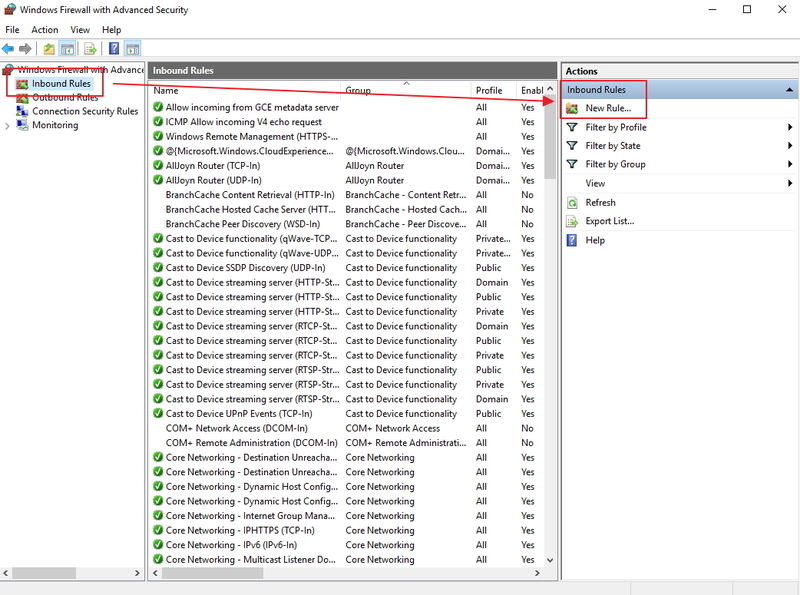 在 Client Access Point 頁面中輸入 “IIS”. 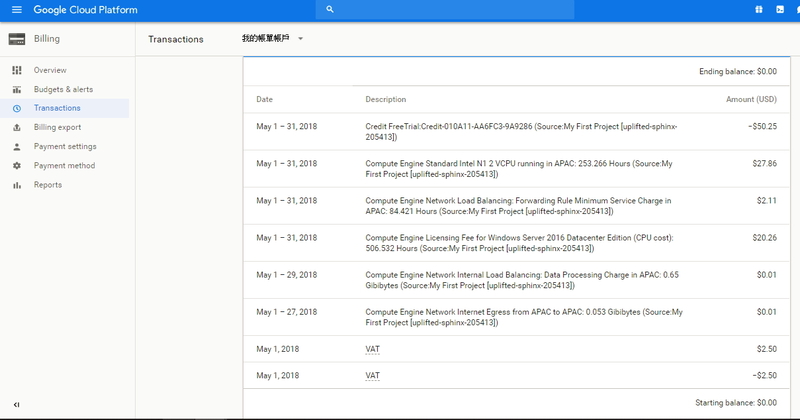 跳過 Select Storage 與 Select Resource Types. 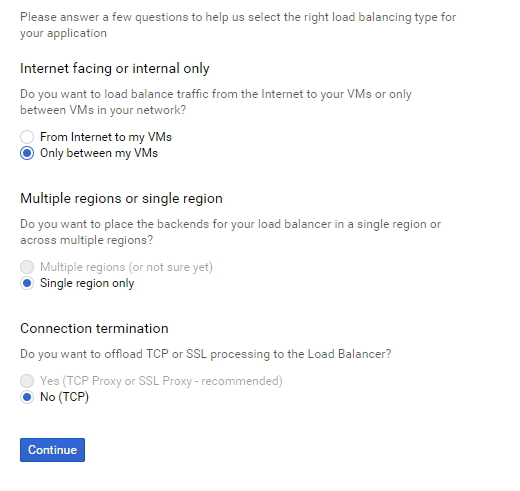 選擇 TCP Load Balancing card 並選 Only between my VMs ，最後設定名稱為 wsfc-lb. 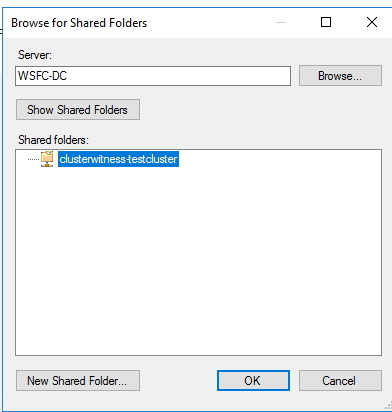 選擇 wsfc-group 並建立 新的 health check. 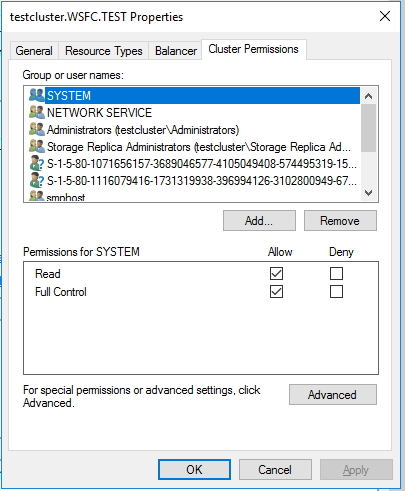 設定預設 cluster host agent 的回應接口 port 為 59998. 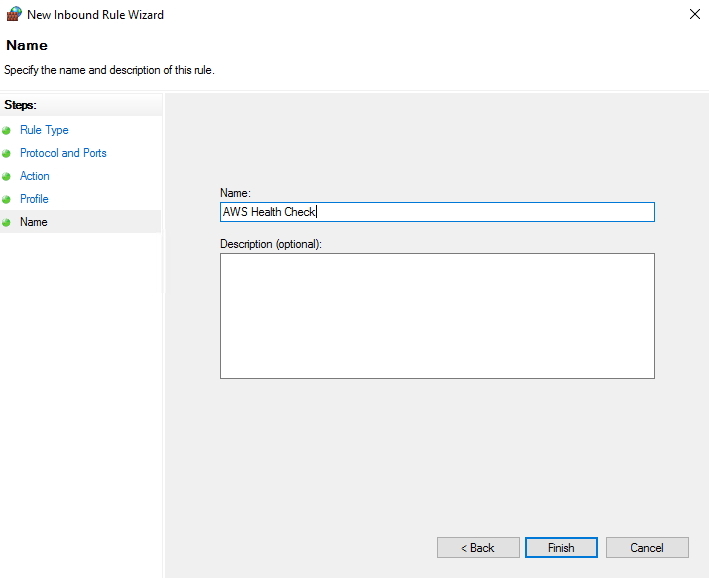 設定 Check interval, 輸入 2. 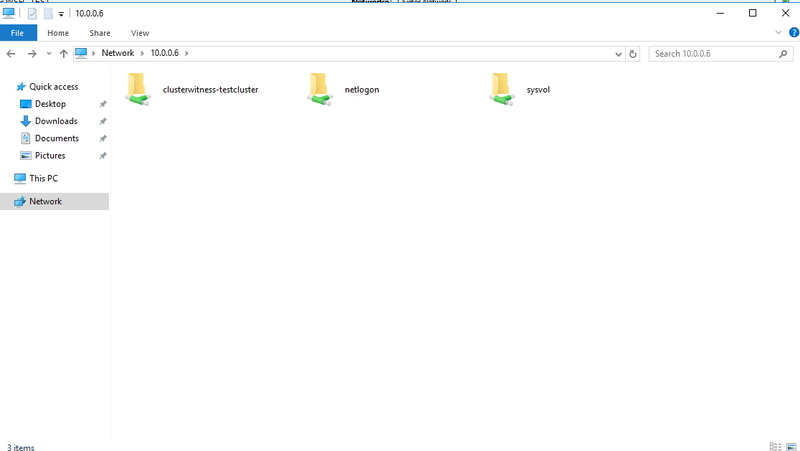 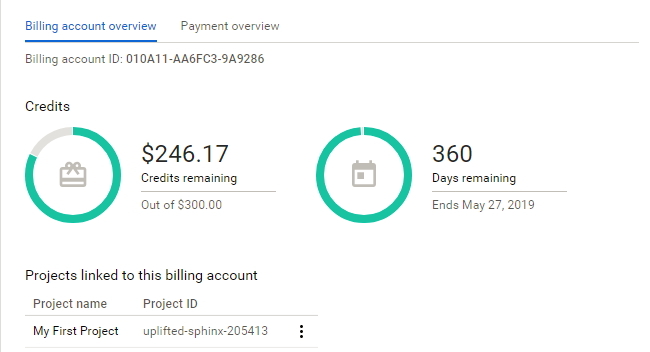 設定 IP, 選擇 Ephemeral (Custom) 並輸入 10.0.0.9.